now that december is here, new shops will be making a mad scramble to open and new brands will be launching here and there. to wit, greenbelt 5 will be having events practically everyday. lulu tan gan's L manila was supposed to have its formal opening today, but in light of recent events, it moved to next monday. tomorrow, bang & olufsen, which looks a tad out of place in the midst of the marcs and the michaels, but hey this is the "huang wing" (i.e., the SSI-owned boutiques ;-), will have an opening party. then by friday, the much-awaited myth, the all-filipino-designer boutique partly owned by schu lady ruby gan. imagine: ready-to-wear collections by randy ortiz, dennis lustico, ivarluski aseron, jesus lloren, and joey samson, plus beauty products by henri calayag and jing monis! exciting! can't wait! 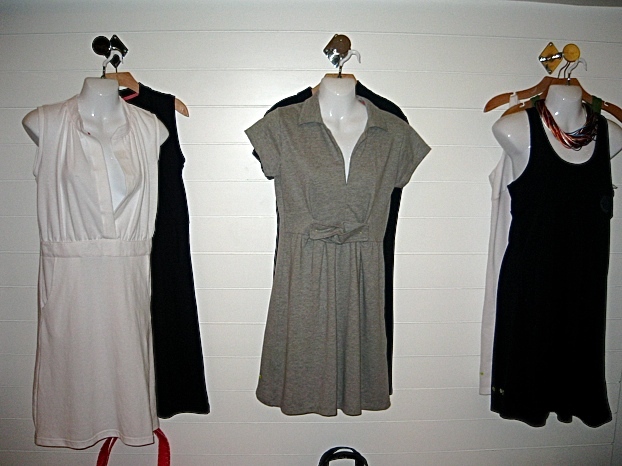 meanwhile, last week, we attended the quiet launch of a new line of loungewear called firefly. the brainchild of three friends, the clothes are all about easy, comfortable knit pieces that you can just throw on when you want to look polished and pulled together in an instant. if you have to rush to the grocery or entertain some impromptu guests at home, just put one on, wear a pair of flats, tie your hair back, slick on some gloss, spritz on some cologne, and put on your most glamorous pair of sunglasses and voila! you're ready to face the paparazzi! hahahahaha! whatever. 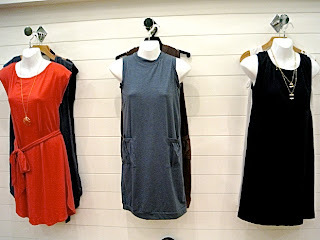 these are also perfect layering pieces for when you travel, especially where the temps can be unpredictable. you can wear a long sleeved tee and leggings underneath, then add your coat, boots, and muffler for cold days. and they won't wrinkle in your suitcase! come summer or any time you're in the beach, wear one over your swimsuit for an instant chic coverup. 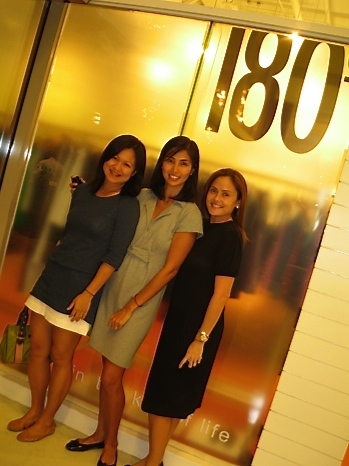 below, two of the three friends who own firefly, yvonne and mavis, with joanna (right, in black), one of the owners of 180°, the store in greenbelt 3, where firefly is available. check it out! nothing over P2,000!